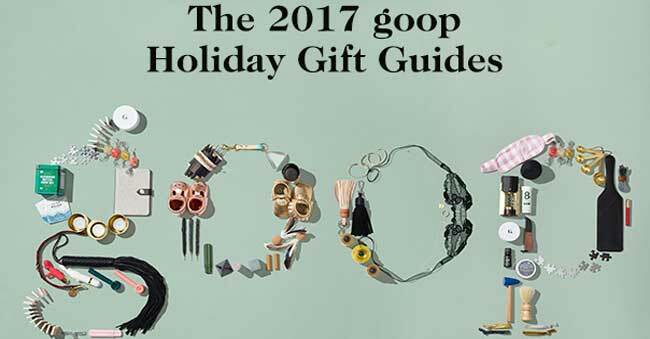 Hindus are critical of Oscar winner Hollywood actress Gwyneth Paltrow for unnecessary pushing of expensive yoga and meditation stuff through her lifestyle brand GOOP in its “2017 Holiday Gift Guide”. Hindu statesman Rajan Zed, in a statement in Nevada today, said that Paltrow, who had been known as “part yogini” and who had been promoting “nourish the inner aspect” through GOOP, should not be pushing the exorbitant products for the ancient practices of yoga and meditation whose techniques could be successfully mastered with little or no cost. GOOP “2017 Holiday Gift Guide” is promoting a “Meditation Band” at $350, which claims to “guide you back to a meditative state: when your mind starts to wonder”. It is also pushing a Love Yoga Retreat for $2400, while the typical range of single drop-in sessions at yoga studios and fitness centers around the nation is $8 to $23, with average cost running around $12. Pushing consumers to unwarrantedly high-priced products related to the spiritual practices of meditation and yoga for mercantile greed did not seem appropriate, Zed, who is President of Universal Society of Hinduism, indicated. Rajan Zed pointed out that Hindus had been practicing meditation for thousands of years which was a condition of profound internal wakefulness; and added that ancient Hindu scripture Taittiriya Upanishad stated: “Meditation is Brahman (the supreme being)”. Zed further said that yoga, introduced and nourished by Hinduism, was a liberation powerhouse. According to Patanjali who codified it in Yoga Sutra; yoga was a methodical effort to attain perfection, through the control of the different elements of human nature, physical and psychical. Launched in the fall of 2008 out of Paltrow’s kitchen and currently headquartered in New York, GOOP claims “We will never recommend something that we don’t love” among its “values”. GOOP is said to be a name carved from 45-year old Gwyneth Kate Paltrow’s initials.